Gridless Responds to Amtrak Derailment - Gridless Power Off-grid, clean, rugged solutions for your toughest power problems. Gridless designs solar batteries with the capacity of a generator. 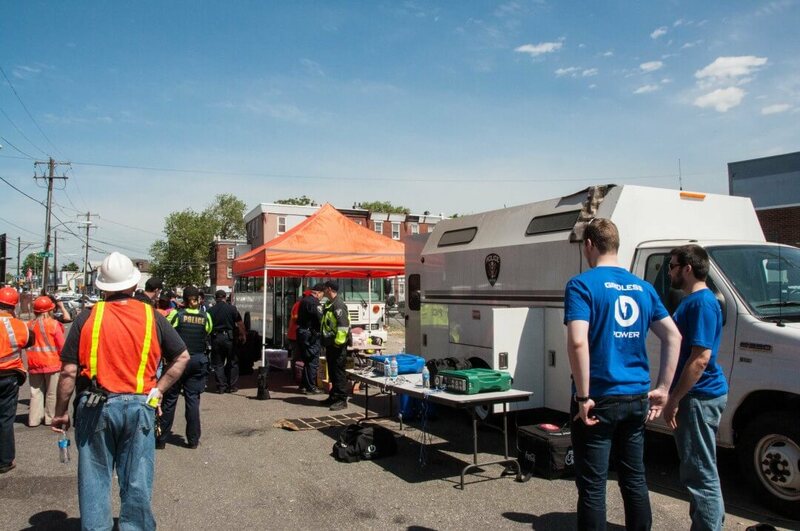 The Gridless Team deployed on Tuesday night to immediately respond to the Amtrak derailment in Philadelphia. We powered equipment for first responders and survivors alike, keeping people connected and enabling them to contact their families. Many thanks and cheers for the Philadelphia Police / Fire Dept. / Emergency Management for their response to this tragedy, as well as to the Red Cross and all other organizations who responded. Our hearts go out to all of the victims and the families affected by this.